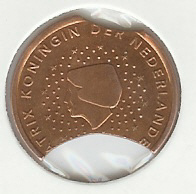 (Km# 111): This coin was minted in the years you see on the left. Difficult to found are: none. The Bimetallic 500 Italian Lira is probably the best coin of the republic. A very beautiful and interesting coin, as well as having two colours, gold and silver, the 500 Lira was the first bimetal coin minted in the world. It is the world’s first coin to be issued with Braille on the reverse! With the recent introduction of the Euro dollar, these Italian coins will no doubt become rare coins and therefore a must in any serious coin collection. Mostrly of 1999 coins were retired before entering in circulation.